Financial blues have deepened at the PF controlled ZNBC. 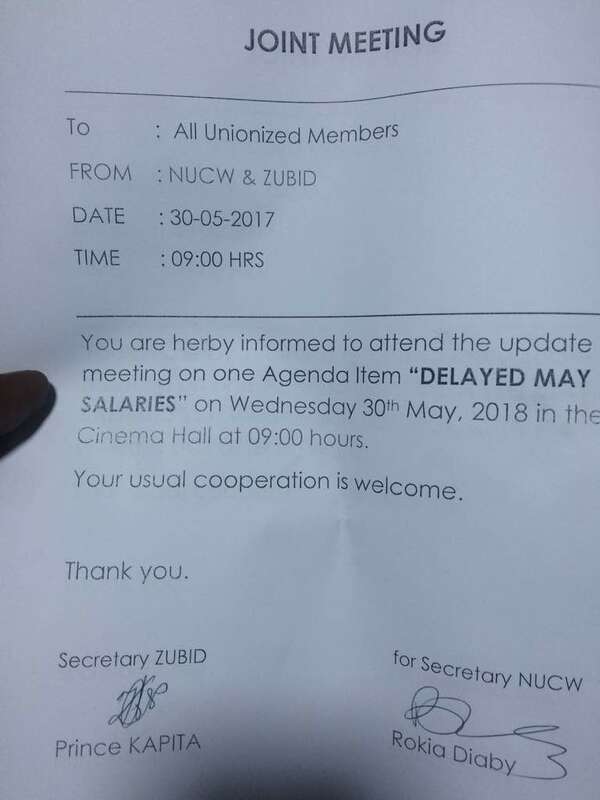 Another protest is looming at the almost defunct ZNBC as unionised employees have not yet recieved their May salaries. This is depiste the IBA giving the institution about 5 million kwacha towards salaries. Sources from the institution have told the Zambian Watchdog that the conditions of service at the institution have worssened after Richard Musapenda Mwanza took over from Chibamba Kanyama as director general. They allege that Mr. Mwanza does not have the interest of the workers at heart and is only concerned about his welfare. The unionised workers are scheduled to meet today to chat the way forward over the matter. Details coming soon.